Take advantage of better rates when you book our advance purchase offer at Radisson Blu Edwardian hotels, pay upfront and receive up to 20% off your stay. Radisson Blu Edwardian, London offers a unique experience with its upscale properties which all boast a distinctive personality and individual sense of style. Relax in one of our 4- or 5-star hotels with complimentary newspapers and Wi-Fi for all your devices. 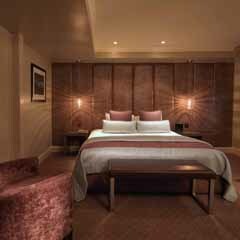 Situated in prime locations across London and Manchester, our hotels are ideal regardless of the type of break you’re looking for. Perhaps you’re wanting to hit the shops on Oxford Street? Or catch up with the latest plays in the West End? Maybe you want to soak up the culture in historic Manchester? 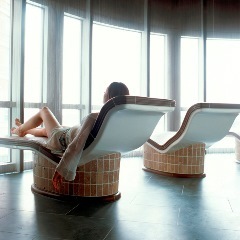 If slower paced is more your cup of tea, visit one of our tranquil spas and spoil yourself with an afternoon tea later. We also have a great range of food and drink to complete the experience. 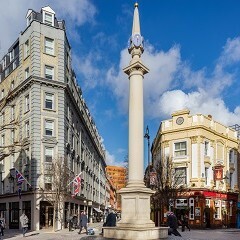 Take a look at our popular restaurants, Scoff & Banter, Steak & Lobster, Monmouth Kitchen or Leicester Square Kitchen. Book securely online or call our reservations team on +44 (0) 20 7764 0523. Only valid when you book in advance. Rate is subject to availability. The credit card used for payment must be presented on arrival. If you are paying for someone else, please get in touch with our Central Reservations office on +44 (0) 20 7764 0523 for further assistance. This offer requires full payment at the time of booking and is non-refundable and non amendable. The offer applies to all room types priced per room, per night and includes VAT, room only.